Join Pooh Bear, Piglet, Tigger, and the rest of the gang for this adventure through the hundred-acre wood. Experience the storybook world of Winnie The Pooh and all of his friends with this enchanting and whimsical ride. 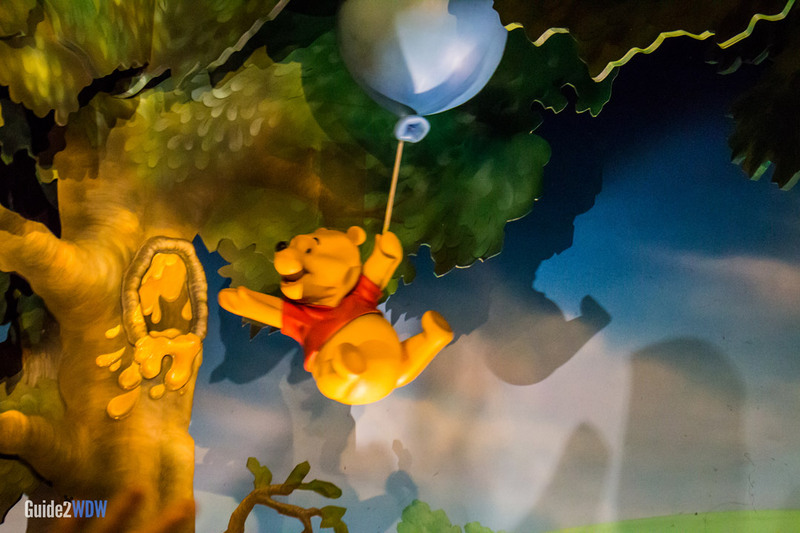 Guests enter giant Hunny Pots that move (and, in some cases, bounce) through classic scenes of the various adventures of Winnie the Pooh. 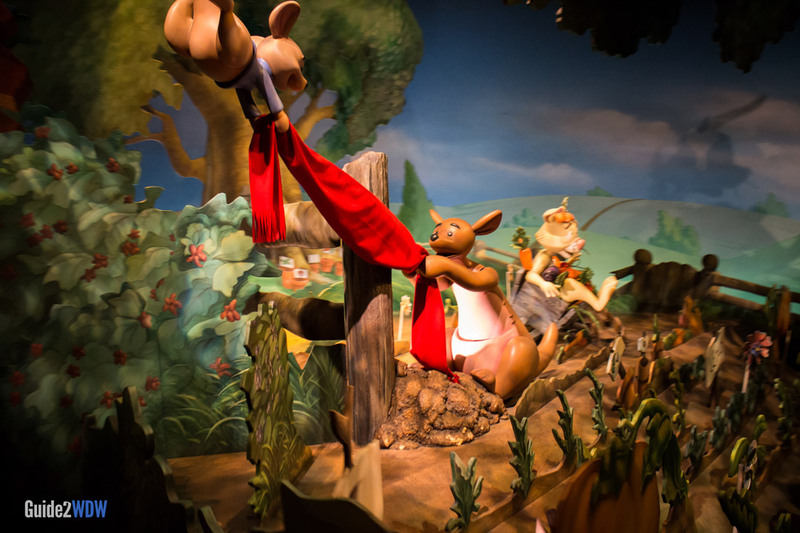 Fans of Pooh Bear will be delighted to see Piglet, Tigger, Rabbit, and even Heffalumps and Woozles make appearances throughout the ride. Disney updated the queue to The Many Adventures of Winnie the Pooh to feature interactive play elements. This is huge hit with children. This ride is one of the most popular in Fantasyland, and lines can balloon up to 40 minutes to an hour. To avoid the lines, ride The Many Adventures of Winnie the Pooh in the couple of hours after park opening or before park closing when lines are the shortest. If you want to ride during peak hours, be sure to secure a Fastpass. Whenever I think of this ride, the word “whimsy” comes to mind. Maybe it’s the bright visuals, or the familiar soundtrack, or the role Winnie the Pooh had in my childhood, but I can’t help but revert back to an 8 year old full of joy while on this ride. The honey pots move swiftly enough to be fun and not just a lazy ride like It’s a Small World. The Many Adventures of Winnie the Pooh has the rare quality to transport you to a place full of whimsy and provide plenty of fun along the way.